A new Marxist program for Chinese journalists will damage perceptions of Japan in China. The Chinese Communist Party has initiated a mandatory journalism program that focuses on the Marxist views of journalism, laws and regulations, and ethics. Additionally, they have begun to order their journalists not to take stances in support of Japan on contentious issues of history and territorial disputes. It is estimated that roughly 250,000 journalists from various news organizations are participating. There will be a compulsory examination at the end of the course in January or February. If journalists do not pass, they will not be able to renew their press credentials. 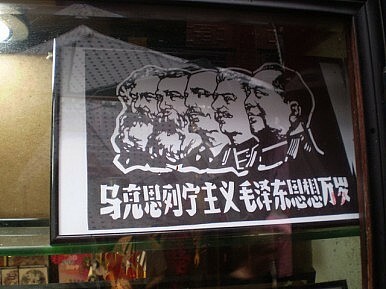 Back in August, the CCP ordered the entire Chinese press corps to sit in on classes on Marxism for at least two days. This new program however, is much more expansive and will be ongoing for 3 months. China’s ruling party looks to be tightening its ideological grip in an effort to sway public opinion on divisive issues between the Japan and China. Since the nationalization of the Senkaku/Diaoyu islets by Japan, bilateral relations have deteriorated and mutual public perceptions have significantly worsened between Japan and China. Despite deepening economic interdependence, media frenzies have erupted over the island dispute and there are worries that the bellicose rhetoric between Japan and China could possibly take a turn for the worse. At such a critical juncture when China should be playing the role of balancing sentiments, it is instead inducing self-censorship amongst its journalists, giving the Chinese public a rather distorted view of the facts. In July, Japanese newspaper Asahi Shimbun’s social media accounts were censored. The Asahi is one of Japan’s most widely read publications in China, and known for taking a conciliatory stance towards the territorial row. In 2012, anti-Japanese demonstrators took to the streets in over 50 cities across the country demanding Chinese control over the islands. There were signs that Beijing took part in encouraging the demonstrations that took place, then dissolving public anger before it got out of control. The ruling party stirred up domestic public opinion to strengthen its position abroad and put pressure on Japan, but also made it very difficult for themselves to cooperate with Japanese officials in the future. Earlier this year, the Chinese government detained Chinese professor Zhu Jianrong of Toyko Gakuen University in Nagareyama, Chia Prefecture after he returned to Shanghai. He is now reportedly being questioned about his activities in Japan. According to the Society of Chinese Professors, Zhu is known for actively engaging on issues affecting Japan and China. The recent incident has raised some concern among Chinese researchers and journalists in Japan that they may be forced to wrestle with the personal risks of circumventing censorship. But this isn’t the first time that scholars and journalists who serve as intermediaries have been detained. In 1998, Uighur historian and writer Tohti Tunyaz was sentenced to an 11-year prison sentence during his study for a PhD at Tokyo University. He was charged for inciting ethnic separatism for a book he allegedly published in Japan entitled “The Inside Story of the Silk Road.” His Japanese professor insisted that no book ever existed. Also, in 2009, Jin Xide who researched Japan’s aid contributions to China’s poverty and economic development was given a 14-year prison sentence for selling state secrets to Japan and South Korea. These allegations have never been proven. Su Ling, the chief editor of Xinhua Times, a Chinese newspaper published in Japan has been missing since he returned to Beijing in May. Reasons for his disappearance are still unknown. With a current political climate that doesn’t allow the two governments to engage in official high-level talks, researchers and journalists can serve as an indispensable track-II bridge. However, that can only happen if researchers in Japan are able to work without trepidation and the Chinese media embraces more disparate voices on Japan. China can’t afford to educate the public with a monolithic view. Too much is at stake between the two respective nations. Changing public perceptions could lead to a more cooperative foreign policy and help mend damages in the Sino-Japanese relationship. Justin McDonnell is an Editorial Assistant at The Diplomat. For Japan, the U.S. has traditionally held the role. But that was before Donald Trump. Diaoyu Islands Dispute: A Chinese PerspectiveThe Challenges of Pakistan's Female JournalistsJoining the Quad: Fear Versus GreedA Japanese Perspective on Hangzhou G20Asia-Pacific Elites Widely Linked to Leaked Panama Papers—What Next?